Beauty Sketch by Jacq: The Week #18 | late! Our wedding was on the tenth. #JoyeuxAmourNov: Day 9 - Nature in a pot on my desk, the last night chez parents it was... // Day 10 - Love in the celebration of matrimony // Day 12 - Handmade wedding cake by my dear Filipino sisters // Day 15 - New Kevyn Aucoin cream blushes for moi and Honor. After reading Kate/Drivel about Frivol mentioning the Rosy Tint as one of her current berry favourites, I popped into an EH store and grabbed a few lip products. Totally random, but satisfying. Oh, and as a gift with purchase I received a shower loofah in ice-cream cone design. Marvellous. 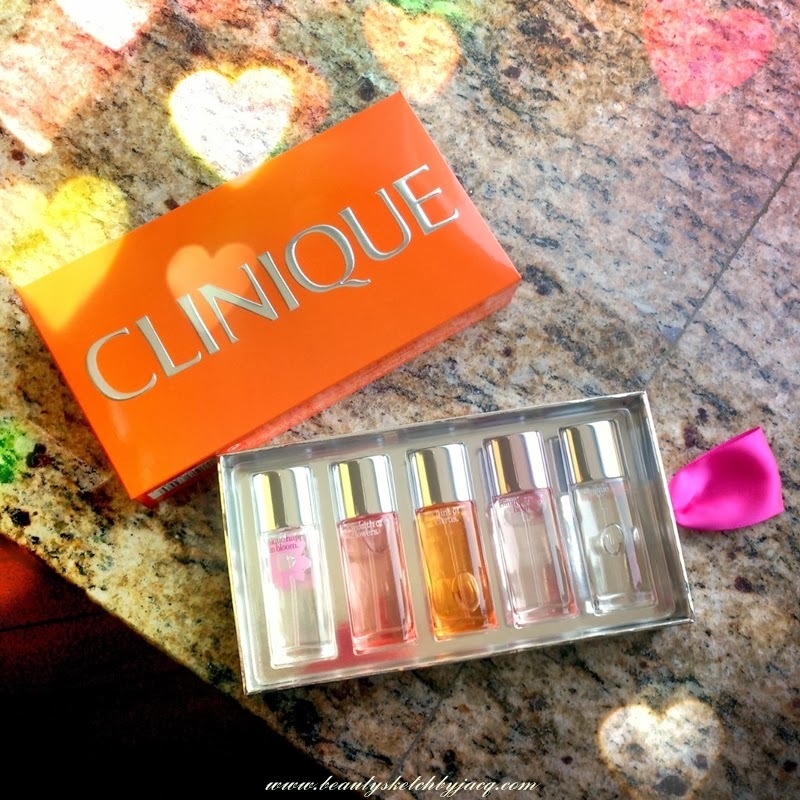 Though I was ultra busy this week, and the week before, my beauty shopping ally cousin managed to text me when she spotted the Merry Clinique's arrival at counter. She helped me grabbed a set of this, retailed for $390, with five different scents, 7 ml each. They are Happy in Blossom, A Wealth of Flowers, A Hint of Citrus, Happy Heart, and, the best, Happy. - Sam's box arrived. Read the blog post here. congrats Jacq on your big day! !